Our classes are friendly for every level. All classes are first-come, first-served, please show up 10 minutes early. $65 — Monthly Unlimited (access to all classes for 30 days). 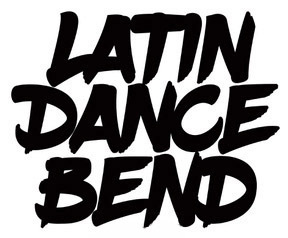 In this beginner level class you will learn salsa & bachata basics and simple turns while also paying attention to partner connection through lead and follow technic. Dance partner not required but encouraged. This class is for those who have taken Level 1, or have a good understanding of Salsa basics. In this class you will learn fun turn pattern combinations. Dance partner not required but encouraged. This class is for those who have taken Level 1, or have a good understanding of Bachata basics. In this class you will learn fun turn pattern combinations. Dance partner not required but encouraged. Casino is a cuban style of salsa. In this class you will learn to dance in a 'wheel' or rueda, with two or more pairs. No partner required. Beginners welcome. Please contact Instructor: Brigiette at tbrigitte24@gmail.com or (541) 729-6837 with any questions regardin this class. *Our class rates do not apply to this class.